With no U.S. chain hotels in Turin, Italy we were forced to look elsewhere for our one-night stay. We ended up at the Hotel NH Collection Piazza Carlina, a beautiful new hotel in the heart of the city. NH Collection is a portfolio of hotels within the NH brand that include the chain’s premier hotels. I’ve stayed at NH airport hotels before near Zurich and Munich, but this would be my first time staying at an NH city-center hotel. The online rate was about 150EUR/night. My friend and business partner John decided to try to negotiate the rate down. He does this for sport…some people play video games for fun, but John negotiates for fun. We parked outside the hotel, walked inside, and John did his thing. Ouch, that was uncalled for! John was just asking for a better price and never brought up America or how things are done in America. The hotel appeared practically empty and no one else was in the lobby besides two other hotel colleagues standing around behind the front desk. I saw nothing wrong with John’s inquiry. On most days, I think we would have turned around and left after an outburst like that. But we had been driving for hours and were tried. As I mentioned, the negotiation was more for sport, not because the price was too high. This hotel is located in a historic 17th century building with beautiful common areas including a picturesque courtyard in the center. The hotel is right in the heart of the city within walking distance of all major attractions. Let me add here what a charming city Torino is. A minibar as well as a Lavazza (based in Turin) espresso machine were in the room. In the bathroom, it looked like the hotel had forgotten to install a bidet. One of our employees, also on the trip, stayed down the hall and he had a bidet in his bathroom. On the top floor, the hotel offers a beautiful sun deck with great views of the city. 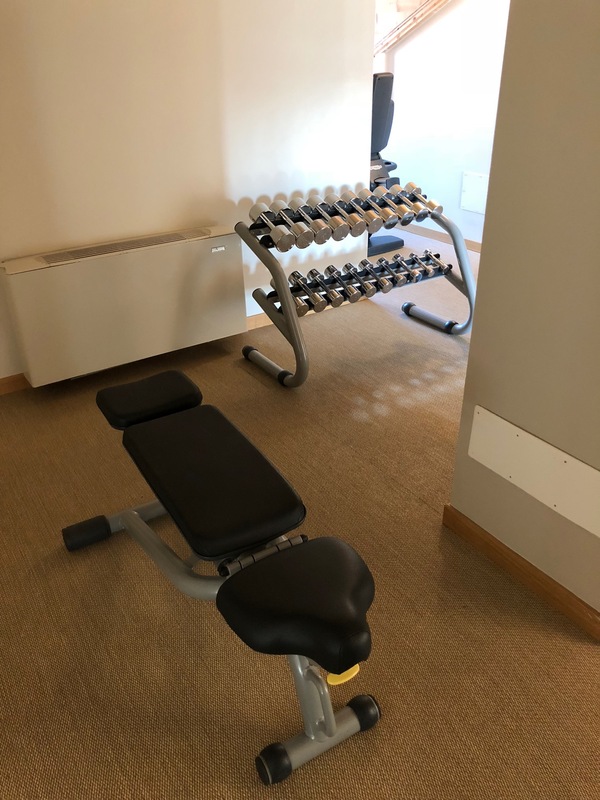 The fitness center was located in the hotel’s attic. I loved the layout of the room, though the equipment was limited. Breakfast was fabulous. A buffet offered a wide range of continental items and omelets were made to order. The freshly-squeezed orange juice and barista-made cappuccinos were superb. Indoor and outdoor seating were available and we enjoyed breakfast in the courtyard. The hotel bar is located across the hall from the lobby…I love the design. Other than the outburst at the front desk for asking for flexibility on price, I enjoyed the hotel. With great location, great rooms, and great breakfast — I recommend it. NH also have a loyalty program that appears flexible, if not terribly generousl. Unfortunately John was being creepy and stereotypically ‘ugly American’. It is vulgar and unseemly to start negotiating a rate in the lobby of a hotel. The clerk told him to F.Off. Quite right. If you want a special rate or discount, ask in advance. The rest of the world doesn’t appreciate this kind of trumpist behaviour. It’s tacky. Of course there are chain hotels in Turin. There is 2 Holiday Inns in Turin with one within 5 min walk from Turin’s main train station Porto Nuova. 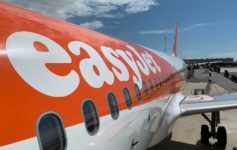 We have stayed there twice, first time was several years back, and second time was this May when the only way for us to get out of Catania Sicily was to fly Catania-FCO-Turin due to the Italian aircontrollers went on strike the next day. Granted, it is a basic hotel no where near the NH pictured, but at 20K IHG pts and so close to the train station for our very late arrival of our flight (no airport hotels but there is public bus between airport and city center), it is very good for our transit night. We then took the regional train to Milan Centrale then, MXP, the next day as our flight back to US was from MXP the following morning.